How would you rate your experience with Newsmax TV ? Newsmax TV was founded in 1998 by journalist and current CEO Christopher Ruddy. This American free-to-air all-news channel is available free online. The channel is owned by Newsmax Media. The channel launched in 2014 to 35 million satellite subscribers through DirecTV and Dish Network. As of February 2018, the network reaches over 50 million homes. The channel is considered to be conservative since many of the programs it broadcasts are conservative talk show hosts. In September 2018, the company launched a deal with Comcast which will enable the channel to operate on America’s largest cable network. Altice USA also struck a deal with Newsmax TV which will allow Optimum and Suddenlink customers to watch the channel who have the expanded basic package. The channel is broadcast out of New York but has headquarters located in West Palm Beach, Florida. 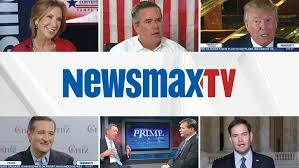 Question 1: What is the phone number for Newsmax TV? Answer 1: The phone number for Newsmax TV is (561) 686-1165. Question 2: Who is the CEO of Newsmax TV? Answer 2: The CEO of Newsmax TV is Christopher W. Ruddy. 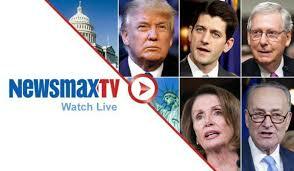 Question 3: Who founded Newsmax TV? Answer 3: Newsmax TV was founded by Christopher Ruddy in 1998. Want to make sure Newsmax TV sees your comment or complaint?